I don't know if you're aware, but we had a bad flood out here a couple weeks ago. It didn't really affect me where I live, thank goodness. I live on a high, sandy ridge, so I was safe. The only problem we really had was later, the water pressure in the pipes was so excessive that many people had their plumbing damaged. I have some old plumbing in the upstairs, and the valve on the shower cracked. I came home from music practice one night to find water dripping through the ceiling onto my kitchen floor. Travel in town was iffy because a lot of roads were out. So I tried to cobble together a fix using spare parts from another valve I had lying around. No good, valve too far gone. And while I'm up there tinkering around in the attic messing with the upstairs plumbing, I forgot to cement one of the pipe elbows I'd put in. Remember when I told you the pressure was excessive? I walked up to the street, turned on the water, and heard people screaming "turn it off! turn it off" from inside my house. So, swearing and cringing, I turn it off and go back inside. Niagara falls was happening in my kitchen. Now we're down one valve, one pipe, one drowned light fixture. I have no choice but to cap the pipes until I can get to the hardware store at this point. The next day, a big chunk of wet drywall collapsed all over my breakfast nook. Fast forward to this Sunday, when I went up there to try to fix all the damage I'd managed to do to my home. My attic is a cramped mess, so I decide that before I pull up the plywood up there (I don't have a proper floor up there, just plywood on the joists) so I can see what's going on, I need to clean up a bit and toss some old stuff. And that's when I fell through the freaking ceiling. The kid, sitting on the sofa, heard a noise and looked up just in time to see the ceiling in the living room burst open and what she thought was pink cotton candy come exploding out. I didn't fall all the way through, because I fell onto the main joist on my way down and for a few minutes, thought I had broken my damn leg. The husband kind of crammed some of the drywall back in place, but before that, it was hanging down over his favorite chair like the Sword of Damocles. Thank God he had gotten up when he did, because five minutes later, his chair was covered in broken drywall and Pink Panther insulation. And to add insult to injury, the kid and husband had been folding clean laundry down below, and now much of it had to be re-laundered because it got covered with fiberglass particles. All this tribulation and horseshit because of a leaky shower valve. And now we got the holidays coming up and my kitchen and living room have destroyed ceilings and I have one single shower left in my house that works, and even that one leaks. I thought I'd maybe have some time to bang out a post last night and today, but then a friend was in desperate, serious need of long road trip out of town for a couple hours to clear her head. So we got in my van and drove. And I promised the husband I would work on getting the shower up and running tomorrow. So I am really sorry about all this, but I'm gonna have to take a breather this week and fix some stuff before we end up having to shower in the backyard with a garden hose. Sometimes your week doesn't pan out the way you think it will. On the upside, my leg ain't broke. Here's a funny little lego video of the Irish song, Why Paddy's Not At Work Today. Take all the time you need! I'm glad you didn't break anything (on your body that is). Stay safe and hope things get better soon! Available on Amazon for Kindle! Five Dollar Mail on Facebook! An online serial novel of Victorian Magic! 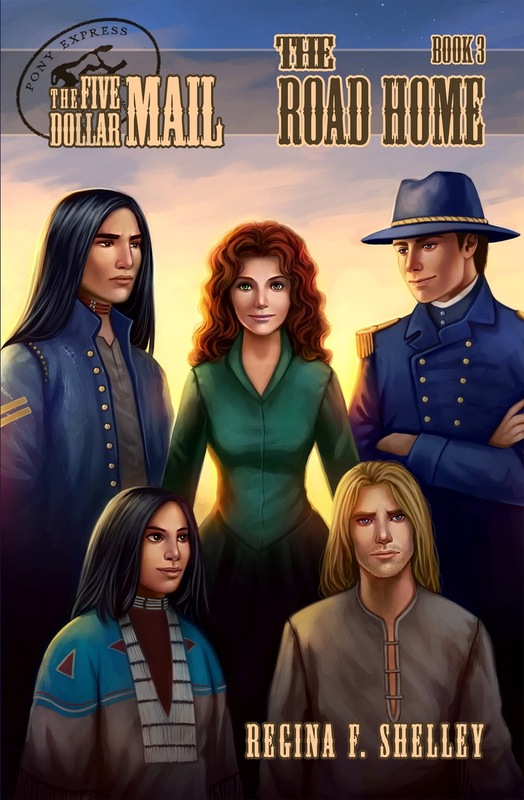 Adventure and romance in the West! Please Vote early and often for FDM at Top Web Fiction! 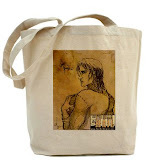 Five Dollar Mail Merchandise at CafePress! More stuff to be added along the way, so inventory will be growing. Requests will be honored as best I can, so if you don't see something you want, let me know.